If you like shooting and editing videos, you may have got some large video files. Do you want to cut the large videos into smaller ones? Do you want to trim the black content in the beginning and end of your videos? Usually, a video cutter is necessary. In this article, you will find 10 free video cutters suggested, all of which are easy to use and come with great features. Just choose the one you like and starting video cutting for better video effect. Part 1: What to look at when choosing video cutter software? Supported video formats: Make sure the video editing software allows you to handle most commonly used video formats like MP4, FLV, MOV, MKV, AVI, WMV etc. in importing and exporting as well. Available Editing features: some free to use video cutter software may only allow you to cut off the video clips and not offer other needy features such as joining and combing several video clips into one, and adding some filters, overlays and transitions. Speed: since you will cut a large video file, the video editing software you choose should have a good speed capability at importing the video, so you can import with less time. Tips: If you need more video editing features besides video cutting, we suggest that you use an easy yet powerful video editing software – Wondershare Filmora9. With it, you can not only freely cut, crop, rotate, join, split, trim videos, but also apply video effects like music, transitions, text and titles, overlays, elements, green screen etc. to your video. With Filmora, you can set up your video frame rate, zoom in and zoom out the timeline to positioning the frames more precisely. Filmora also offers automatic Scene Detection feature which will separate the video into different parts with one click and get the wanted clips easily. For more detailed step by step guide about how to cut videos with Filmora video editor, check our article How to Cut/Split/Trim Videos without Quality Loss in Mac/Windows with Filmora. Gihosoft Free Video Cutter is designed for cutting large and long video files, like AVI, MPEG, VOB, WMV, MKV, FLC, and MP4, etc. It's a small and free utility with useful features like hand-drawm art style interface, precise spin button, etc. You can save the new videos in other alternative formats without quality loss. Free Video Cutter (freeware) is a very popular video cutter for years now. It gives you the ability to cut and split video files into small segments as you like with very good video quality. As the name suggests, it's really a great video splitter or video trimmer. This program supports a vast range of video formats, including AVI, FLV, MKV, MOV, MPEG 1/2, MP4, VOB, MPEG4, DivX, Xvid, etc. 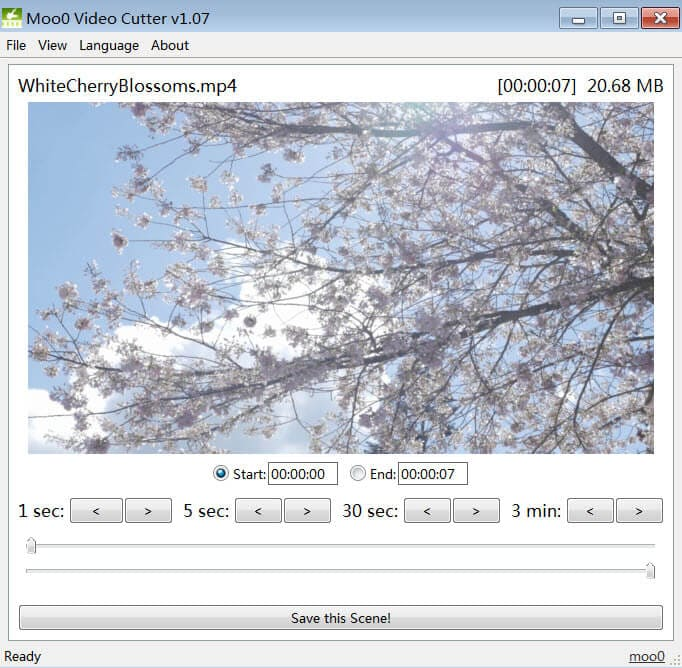 Moo0 Video Cutter is a freely available video cutting tool that allows users to easily cut and save the scenes they prefer from video files. Its user interface is simply and hence users, irrespective of their expertise levels can easily use them. The resulting video clips can be easily saved without losing quality and in a speedy manner. Users can also cut songs out of movies and delete the main movie from the PC if saving space is of concern. Media Cope actually is an all in one media player, cutter converter. In the primary window, click the Audio/Video Cutter tab menu, you can freely trim any segments of video and audio clips. This program gives good support to almost all the popular video and audio formats, like mp3, aac, wma, flac,mp4, mkv,3gp, wmv, mov, avi, divx, mpg, flv,rmvb, vob, dat, etc. The only disadvantage is that it renders relatively lower quality files. Video Edit Master is a very great free video cutter to cut and join videos easily and fast with the original video quality. It comes with a user friendly interface and many video editing features, such as capturing frames from video files. However, it only supports AVI (Divx, Xvid..etc.) and MPEG video files. If you want to cut other video formats, you'd better turn to other free video cutter software or use professional video editing software to cut video files. Like, Moo0, Free Video Cutter Joiner is freely available and is conventionally used in cutting and joining videos. Users can easily cut large video files and remove unwanted parts such as commercials and trailers. It also supports multiple file formats such as AVI, MP4, WMV, MPEG, 3GP, and FLV, among others. Users can also use the software join various parts of video files. 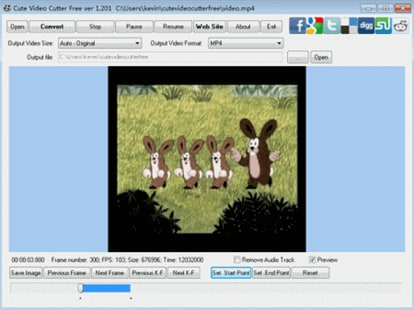 Cute Video Cutter is freely available software that provides an easy-to-use video cutting utility. Its offers its user’s functional ability to cut and split video files into smaller sizes. In essence, users can large video files and also remove unwanted parts such as trailers and commercials. This video cutting tool supports multiple video formats including AVI, MPEG-1/2, DVD, MOV, MP4VCD, VOB, DAT, WMV, DIVX, XVID, and MKV, among others. 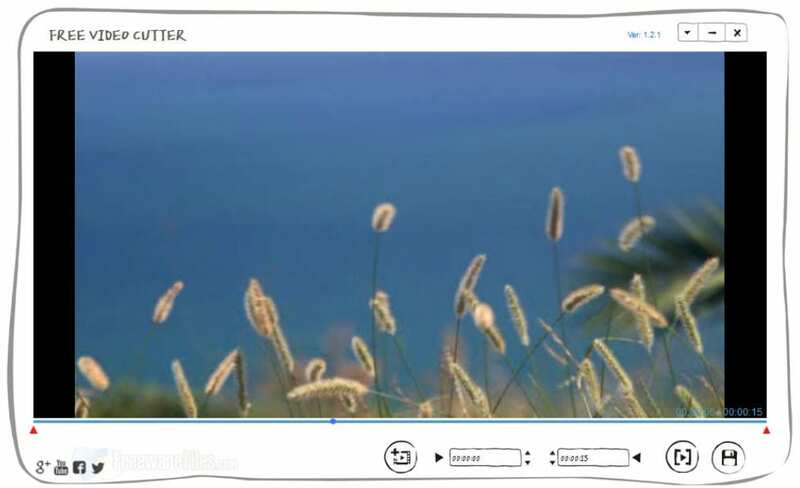 Weeny Free Video Cutter is a freeware used for video cutting. It is used in cutting large video files into smaller pieces. The tool supports multiple file formats including VOB, 3GP, FLV, MP4, MPG, ASF, AVI, RM, and WMV among others. Users can use it to cut off unnecessary video parts such as trailers and commercials. Users can also adjust output settings such video codec, sizes, bit rates and frame rates. 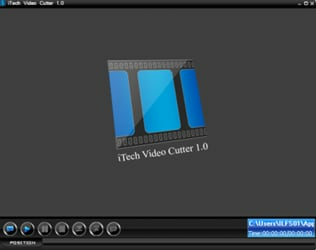 ITech Video Cutter is freeware used for video cutting. It allows users to cut favorite audio and video clips from a single file. Additionally, the software supports a range of formats including DAT, MP3, WMV, MOV, VOB, AVI, MPEG, ASF, WMA, and WAV among others. The tool also allows users to preview results. Start and end points can also be set. There is also an option to play and the watch the cut movies faces in full screen mode. Like DVD Cutter Plus, AIV DVD cutter is freely available DVD cutting software. 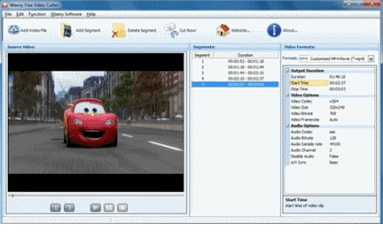 It allows users to extract clips irrespective of the DVD movie’s length. 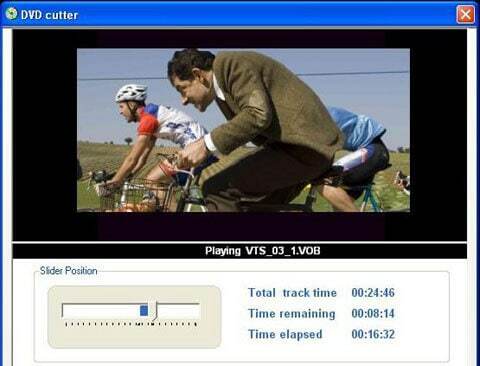 Users can easily cut their favorite video scenes as well as songs from DVD video movies. Users can additionally save the videos. Additionally, the tool has a volume controller, play/pause button, stop button, new selection options and full screen option for playing DVD’s. Above are the best video cutter software that you picked for your Windows and Mac. Leave a comment below and tell us which video cutter will you use and share to a friend who must get this! If Filmora meets your needs, you can pay to remove the logo. Yeap, there is nothing really free, you have to pay for the ads or for the product. But good product is worth the money, that's true for most video editing software. So, you can choose the software based on your budgets. Thank you for your information. We will test and update the information in the next version. VLC does this easily and you do not need 3000 programs to do the many things that reliable VLC does. It is a very safe download too. I need to try one of these video cutters. One thing I would like to say is those programs which claim they remove commercials from videos are pure crap. They never work right and from what I can tell you would be far better off cutting them manually yourself. My BitDefender is telling me that "Free Video Cutter" appears to be a ransomware piece of software :(((( Too bad! I have tried many video cutter free, I do love Free Video Cutter and Gihosoft Free Video Cutter https://www.gihosoft.com/free-video-cutter.html the best. Both of them are very simple to use, and have no ads, I hate ads, bad UE. Among all the similar software, Free Video Cutter is the lightest and fastest, Gihosoft Free Video Cutter is the most beautiful one. Your guys can give it a shot. Which of these free tools don't have a watermark when you download the video? I downloaded the first one Filmora and it will give me a watermark.